Call us today for door inserts! For all of your glass repair and replacement needs in Ocala, FL, call on Ocala Glass, serving the areas since 1965. 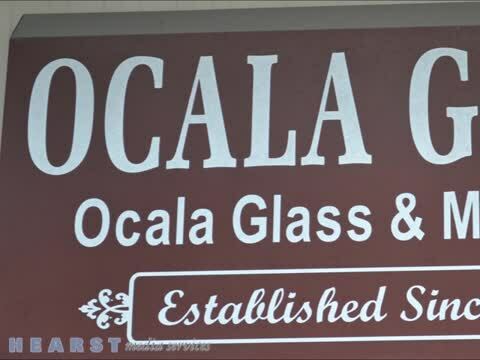 Conveniently located near downtown Ocala in the north Magnolia Business Center, Ocala Glass is family-owned and operated and have been Marion County’s one stop glass replacement and glass repair company. Our glass repair company team of professional technicians are skilled in all types of glass replacement and service both residential and commercial businesses. We are your one-stop-shop for a full range of glass related needs, including door inserts. You can be assured that we have a solution for you. All of our work is guaranteed! When it comes to quality products at affordable prices, Ocala Glass and Mirrors shatters the competition. Call us today for all of your window glass repair needs! Call us today to Schedule Your Free Local Service Call 352-629-3083! When you are looking to renovate your existing storefront glass or order store front door repairs, give us a call. We have worked on several glass store fronts across Marion County. We offer quality window glass repair! We also specialize in residential window glass repair and other glass services. If you have a glass store front or need broken glass replacements, we can help. We've built mirrors and mirrors walls for folks all over Florida. And if you're looking for quality, elegant bent or beveled class, give us a call. We also repair and replace all types of mirrors. We cut our glass in-house or out in the field so there is never a delay to the customer. We also provide patio door repair! Call us today to schedule a free local service call to the Ocala area customers. At no charge to the customer, we will send out a qualified technician to your home or business to give you a free estimate for your work. We service all of Marion County from Ocala down to the Villages. If you need window glass repair, call us today! At Ocala Glass and Mirror, we offer years of experience in serving all types of residential and commercial glass repair & products. We use the best materials and latest techniques to complete your new installation and repair projects. From patio door repair to store front door repairs, door inserts, and window glass repair, we do everything at Ocala Glass. Proudly serving the Ocala, FL area!